The United States Secretary of State continued his visit to Central Europe visiting the Slovakian capital of Bratislava on Tuesday. 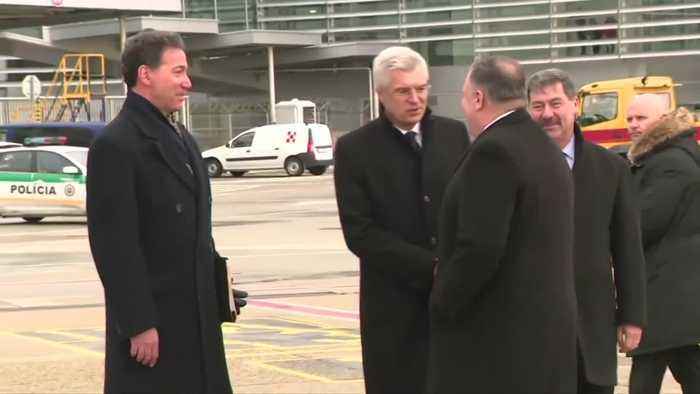 U.S. Secretary of State Mike Pompeo continued his visit to Central Europe on Tuesday (February 12), stopping in Bratislava, Slovakia. Pompeo visited the Freedom Memorial, a monument memorializing the four hundred men and women killed at the borders of the Czechoslovak Socialist Republic between 1945-1989. He also met the Slovak president Andrej Kiska as part of his visit. Pompeo is scheduled to continue on to Poland, which is hosting a conference on the Middle East and where Washington hopes to build a coalition against Iran.